Morgan Sjogren's new guidebook to the Bears Ears National Monument came out just after the current administration cut back its boundaries. Here's what she has to say about exploring the area. 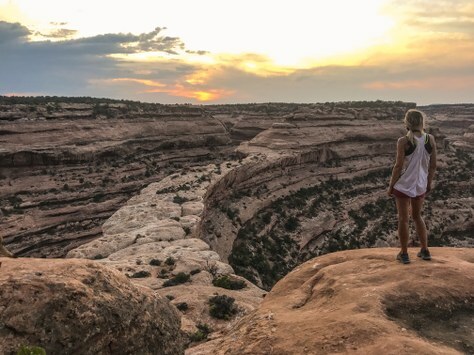 Morgan Sjogren’s new guidebook, The Best Bears Ears National Monument Hikes, came out in January, less than two months after the current administration reduced its boundaries by 85 percent. Published by Colorado Mountain Club (CMC) Press, Morgan’s book is the only guidebook published for this region. 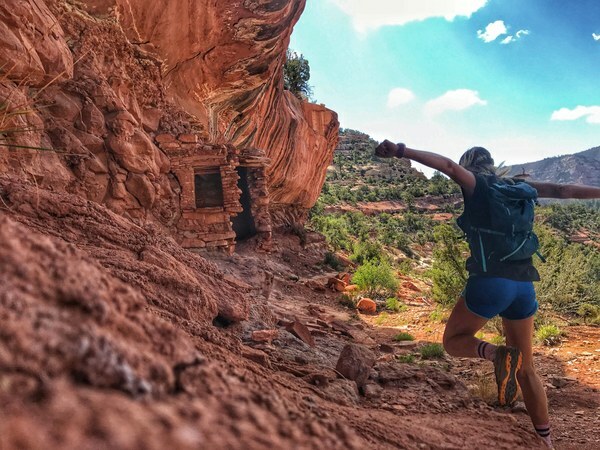 But Morgan, a writer, adventurer, and competitive trail runner, fell in love with Bears Ears while running in it and wanted to encourage others to explore this region, too. We asked her five questions about the book and the Monument. Mountaineers Books is the worldwide distributor of CMC Press books. Since the time you researched and wrote your book, the current administration has scaled back the size of Bears Ears National Monument. How did that affect the information you included in the guidebook? I began writing the guidebook fully knowing this was a possibility. Clyde Soles, the publisher at CMC Press, and I decided early on not to change the content related to the hikes and educational information no matter what the administration did. Nearly everything no longer in the Monument is still on public land, still accessible for hiking and very worthy of a spotlight. The reduced boundaries change jurisdictions but not the value of the area or ability to visit. The most obvious addition to the book is the section about the Monument itself which breaks down the formation of Bears Ears National Monument in 2016 by President Obama to its current state (including an updated map). I think this does a really good job of helping readers and future visitors to understand the public land designations and the reductions made to the Monument. Your book points out that many of the trails in Bears Ears are rarely used and can require wilderness navigation skills to follow. Is Bears Ears an area just for experienced backcountry adventurers? There are hikes in the book that are accessible for all hiking levels. That said, many routes are long (both in terms of mileage and duration) and include technical and variable terrain where you’ll need route-finding skills. I recommend that anyone planning to hike in Bears Ears read the route information very carefully and be honest with yourself about your skill set, fitness and what route will be best for you in your current state. If going with a group, always pick a route that caters to the least experienced and lowest fitness level among your partners. What’s the best time of year to explore this area? Spring and Fall are the best in terms of weather conditions and safety. So, March to early May and late September through October are good. Temperatures can swing wildly at any point in the year and late summer is monsoon season bringing flash floods, which is a very real safety concern. I have spent all four seasons in Bears Ears and have enjoyed each tremendously—you just have to adjust plans and expectations accordingly. One warning: EX Elk Ridge and the Abajos are not accessible if there’s snow. What sort of services and accommodations are available nearby? Blanding, Bluff, Monticello, and Hite are all within 45 minutes to 2 hours from most routes. Moab is another hour or so North. 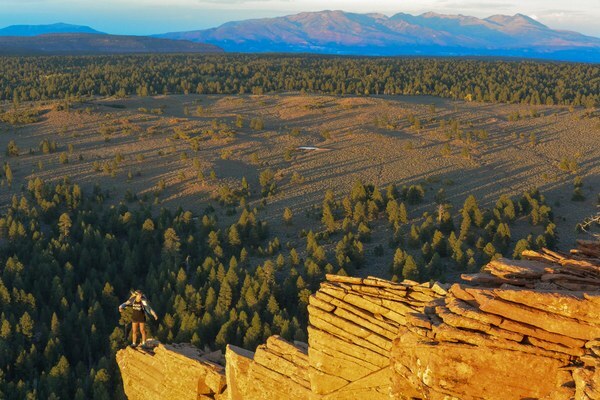 All of these towns have the normal amenities -- food, gas, lodging -- but once in Bears Ears you need to be prepared with ample water, gas, and food because none of these are offered within the Monument boundaries or near the hikes. Maintained campgrounds are available nearby in the Indian Creek and Natural Bridges national monuments. Information and rangers are on hand at the Kane Gulch Ranger Station. Cell service is limited and off road vehicle assistance is very pricey, so do keep these things in mind. In writing about Bears Ears, you have had some push back from unexpected places—people who love it and seem to want to keep it secret. Did that surprise you? Not at all. Anytime there is a new guidebook people will complain. As someone who lives outdoors in amazing places I hear these types of complaints all the time and everywhere. Many people tend to think a place is secret, sacred and belongs only to them. I get it. It’s amazing to go on a hike and not bump into another human. But nothing in the book reveals something “secret” by any means. We also have to remember that these are public lands, meant to be shared by all people and for multiple uses (ranching, logging, mining, drilling, recreation, and preservation). The guidebook pushes for light, respectful, and conservation-minded visits to Bears Ears. It is absolutely imperative that information and educational tools like this exist and are available to people to ensure that Bears Ears remains taken care of and loved for future generations. You can learn more about Morgan at TheRunningBum.com and see her photos on Instagram at @running_bum_. PHOTOsS: Michael Versteeg (top and middle); Morgan Sjogren (bottom).